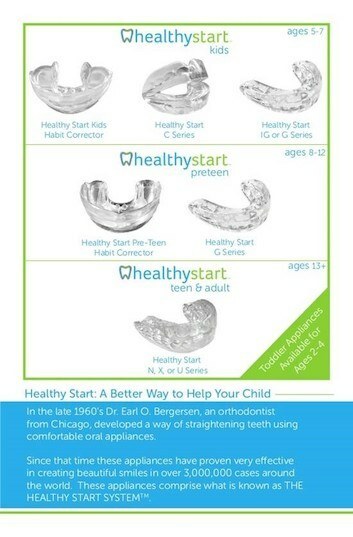 GIVE YOUR CHILD’S FUTURE A HEALTHYSTART™! 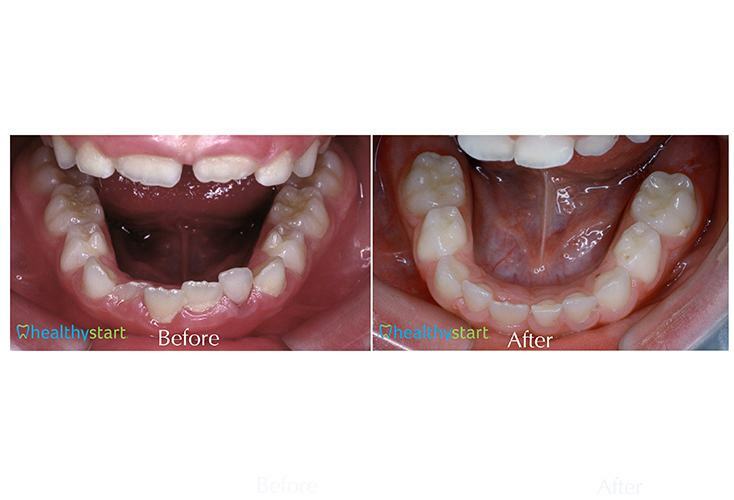 The dentists at Heart of Texas Smiles pay very close attention to your child’s oral development. 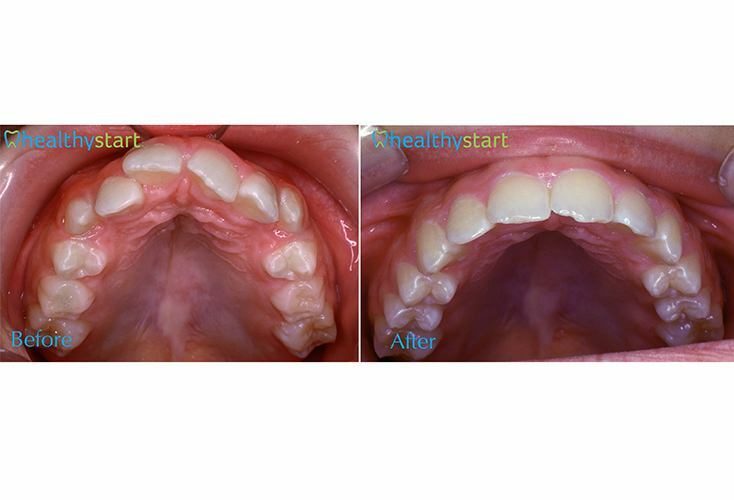 Monitoring their teeth, gums and bite all play an essential role in developing treatment plans that prepare them for a positive oral health future. 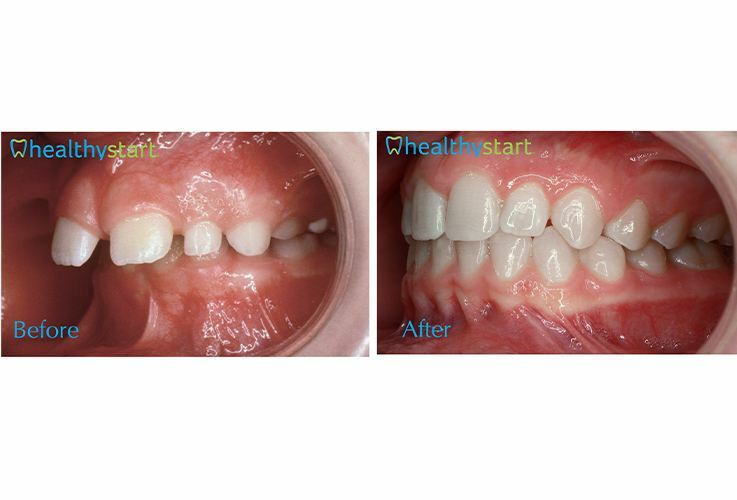 However, a problem that does not get enough attention is the risk of poor breathing caused by orthodontic issues, especially in younger patients. 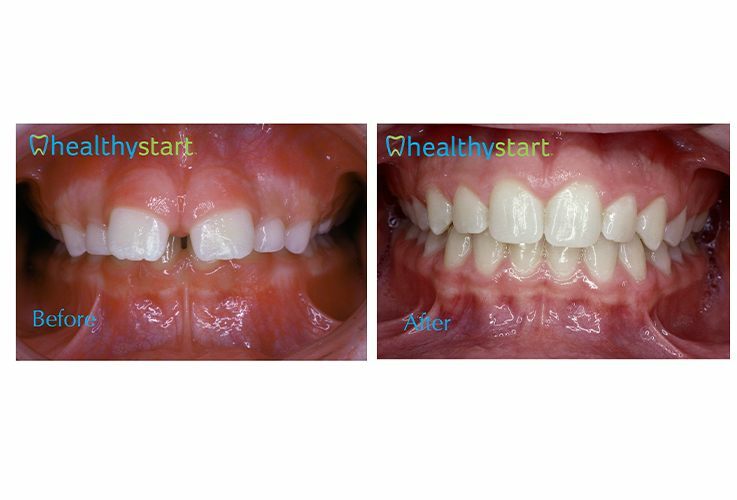 With the HealthyStart system, we can address these issues with a permanent solution and prevent many health disorders from appearing later. 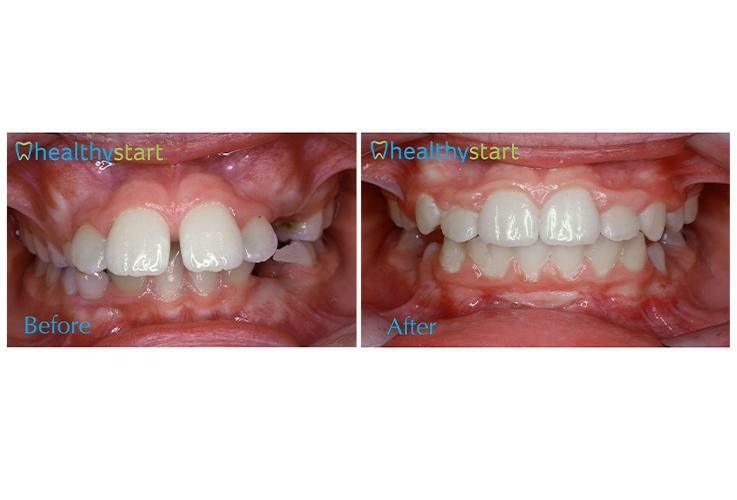 Contact the office to schedule an appointment with Dr. Cobb or Dr. Lassetter for your child! 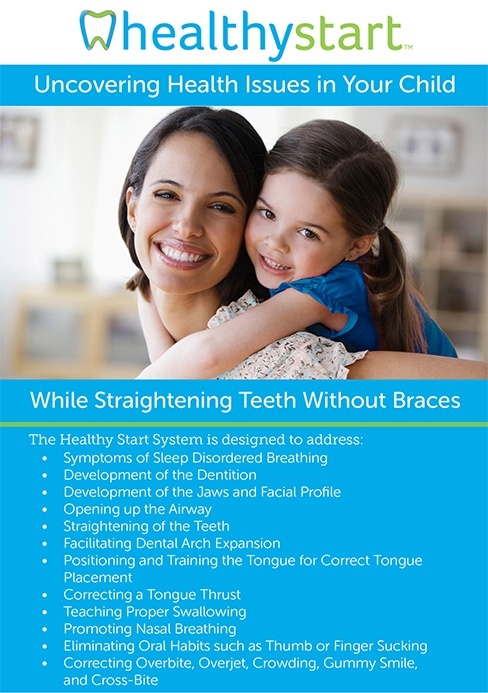 According to the Journal of the American Orthodontic Society, an estimated nine out of ten children suffer from one or more symptoms related to Sleep Disordered Breathing (SDB.) 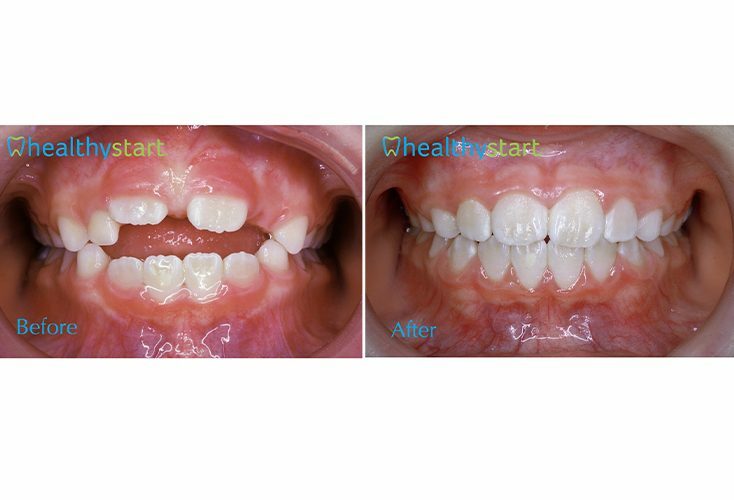 Dr. Earl O. Bergersen, the inventor of the HealthyStart system, notes that by addressing orthodontic issues at a young age, including crowded teeth, misalignment and malocclusions, dentists can prevent SDB. For example, the average size of an airway is about 7mm for a 7-year-old. If they exhibit symptoms of disordered breathing, such as mouth-breathing, it can cause the airway to close as much as 6mm, even if the mouth is open just half an inch! 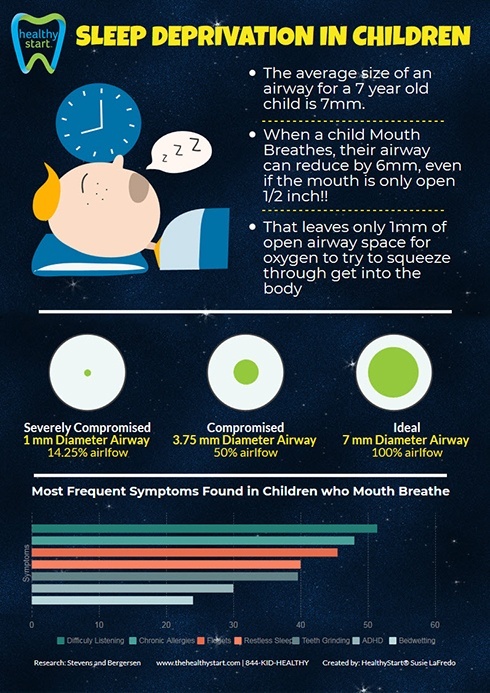 With only 1mm of airway space for oxygen to travel, the risk of disrupted sleep and long-term consequences are significantly higher. 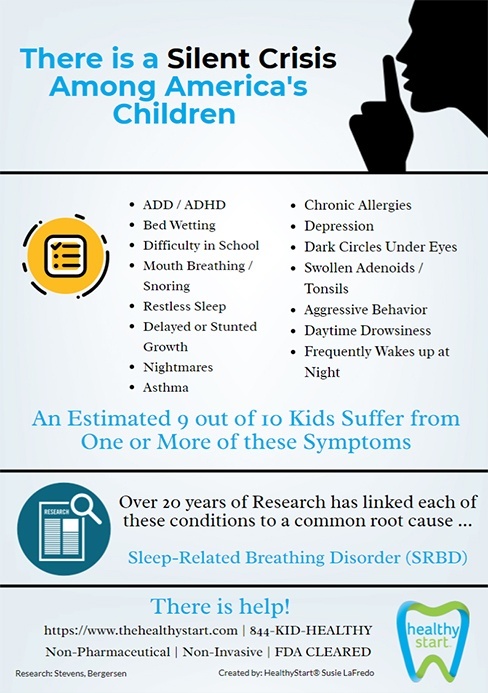 Does Your Child Have Sleep Symptoms? 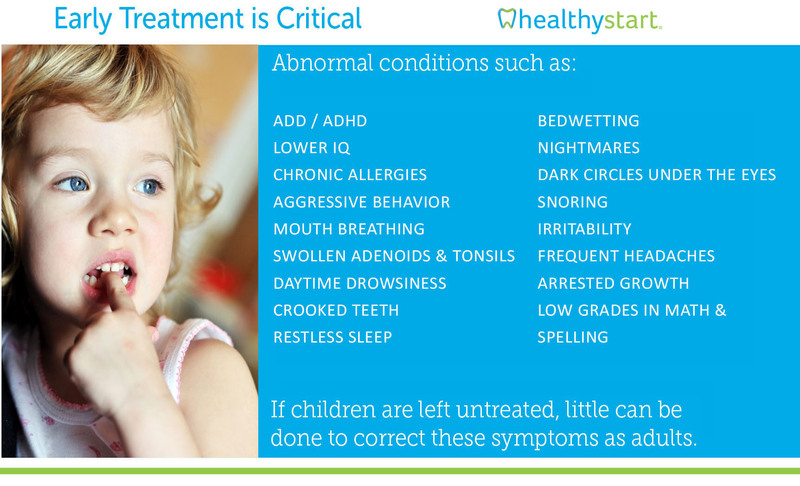 Our office can evaluate your child and indicate if there is a breathing and sleeping issue. 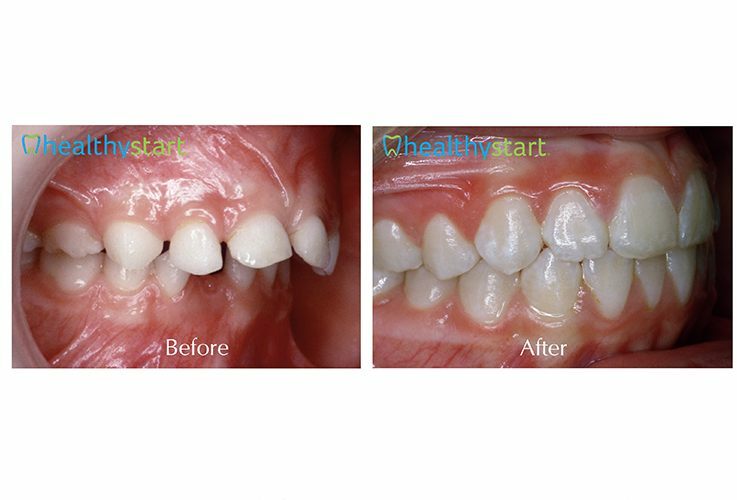 Best of all, when treatment begins early, the perfect smiles that the HealthyStart Appliance System creates are less likely to relapse! 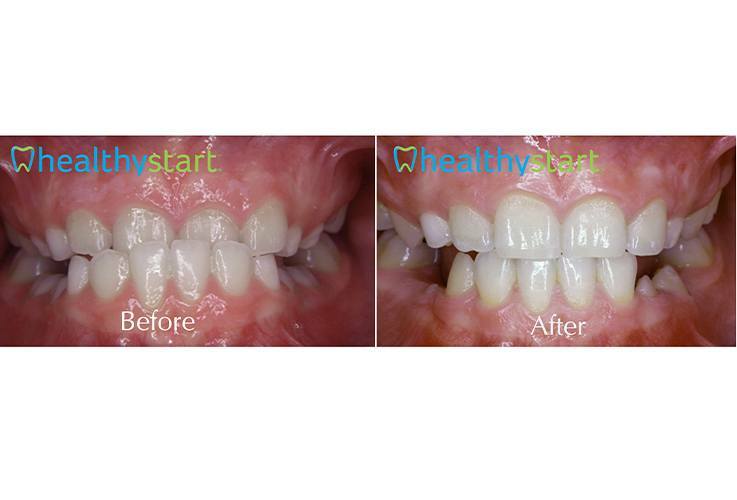 Additionally, HealthyStart is non-surgical, non-pharmaceutical, pain-free and non-invasive therapy. It is soft, comfortable and worn at night (or as directed) to assist parents who struggle with children affected by SDB.